Fear of Winning - Michael Bader, D.M.H. Political progressives have been under siege from a tsunami of money and attacks, both legal and political, from the Right for a long time. 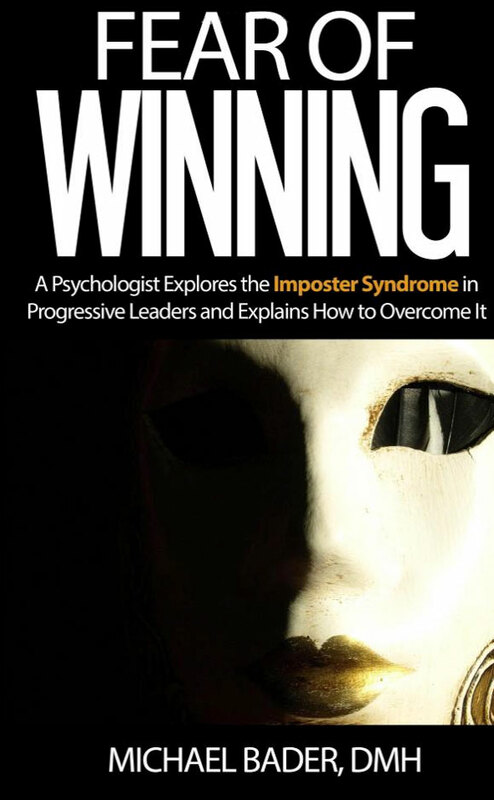 However, as psychologist and psychoanalyst Dr. Michael Bader argues, they are also often handicapped by internal conflicts about authority, power, and success, conflicts that make up what is typically called the Imposter Syndrome. Afflicted by feelings of fraudulence, progressive leaders and organizers often react by making themselves and their organizations less effective and inspiring than they might otherwise be. Dr. Bader describes a personal change process that can help leaders overcome their discomfort with power and free them up to develop winning political strategies. —Michael R. McGrath, Ph.D. Adjunct Professor of Executive Education at the Ross School of Business, University of Michigan.